2010.09 - 2015.08, A Study on the Volume Integral Equation Method, Basic Science Research Program through the National Research Foundation of Korea (NRF), Ministry of Education, Science and Technology. 2009.06 - 2012.05, Development of External Whirling Machine, 2009 Support Project for Establishment of Business Research Institute through Cooperation between Industry-Academia-Research Institute, Small & Medium Business Administration (SMBA). 2003.12 - 2004.08, Development of whirling machine for cutting precision machine parts, Korea Industrial Technology Foundation. 2002.07 - 2003.06, A Study on Quality Assurance for Rotational Molding Products, Korea Research Foundation. 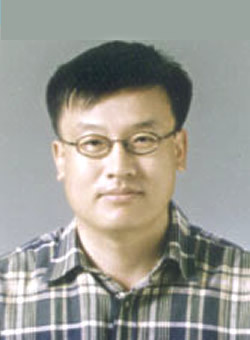 2001.04 - 2003.03, Development of a Numerical Method for the Stress Analysis and the Nondestructive Test, Korea Science and Engineering Foundation. Jungki Lee and Ajit Mal, A Volume Integral Equation Technique for Multiple Scattering Problems in Elastodynamics, Applied Mathematics and Computation, Vol. 67, pp. 135-159, 1995. Jungki Lee and Ajit Mal, A volume integral equation technique for multiple inclusion and crack interaction problems, Transactions of the ASME, Journal of Applied Mechanics, Vol. 64, pp. 23-31, 1997. Jungki Lee and Ajit Mal, Characterization of matrix damage in metal matrix composites under transverse loads, Computational Mechanics, Vol. 21 (4-5), pp. 339-346, 1998. Jungki Lee, Sungjoon Choi and Ajit Mal, Stress analysis of an unbounded elastic solid with orthotropic inclusions and voids using a new integral equation technique, International Journal of Solids and Structures, Vol. 38 (16), pp. 2789-2802, 2001. Jungki Lee, Hyeongmin Lee and Ajit Mal, A mixed volume and boundary integral equation technique for elastic wave field calculations in heterogeneous materials, Wave Motion, Vol. 39, pp. 1–19, 2004. Jungki Lee, Huiduck Han and Ajit Mal, Effects of anisotropic fiber packing on stresses in composites, Computer Methods in Applied Mechanics and Engineering, Vol. 195 (33-36), pp. 4544-4556, 2006. Jungki Lee, Duckyoung Ku and Ajit Mal, Elastic analysis of a half-plane with multiple inclusions using volume integral equation method, Engineering Analysis with Boundary Elements, Vol. 35, pp. 564–574, 2011. Jungki Lee and Ajit Mal, Elastic analysis of a half-plane containing an inclusion and a void using a mixed volume and boundary integral equation method, Engineering Analysis with Boundary Elements, Vol. 35, pp. 915–924, 2011. Jungki Lee and Hye-Ran Kim, Volume integral equation method for multiple circular and elliptical inclusion problems in antiplane elastostatics, Composites Part B: Engineering, Vol. 43(3), pp. 1224-1243, 2012. Jungki Lee, Stress analysis of multiple anisotropic elliptical inclusions in composites, Composite Interfaces, Vol. 19(2), pp. 93–119, 2012. Jungki Lee and Sangmin Oh, Multiple elliptical inclusions of arbitrary orientation in composites, Engineering Analysis with Boundary Elements, Vol. 37, pp. 1556–1566, 2013. Jungki Lee, Sangmin Oh and Ajit Mal, Calculation of interfacial stresses in composites containing elliptical inclusions of various types, European Journal of Mechanics A/Solids, Vol. 44, pp. 17-40, 2014. Jungki Lee, Heungsoap Choi and Youngbae Han, Mixed Volume and Boundary Integral Equation Method with Elliptical Inclusions and a Circular/Elliptical Void, Advances in Mechanical Engineering, Vol. 2013, Article ID 942073, 10 pages, 2013. Jungki Lee, Youngbae Han and Youngju Ahn, SH Wave Scattering Problems for Multiple Orthotropic Elliptical Inclusions, Advances in Mechanical Engineering, Vol. 2013, Article ID 370893, 14 pages, 2013.